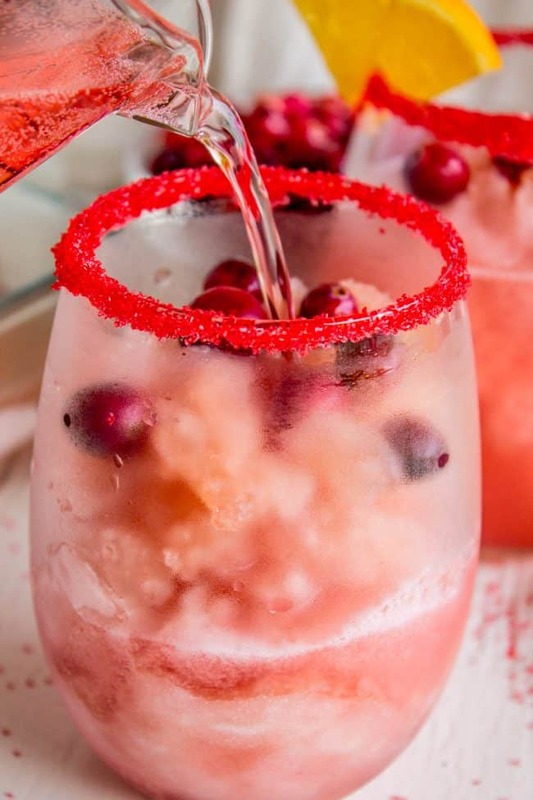 Nothing could be prettier or more festive than this delicious Sparkling Christmas Slush Drink! It is super impressive to serve for dinner parties, holiday parties, bridal showers, or any other excuse you can think of! Some close runner up recipes include this Crème Brulée Pumpkin Pie that you’ve all had to endure me obsessing over lately (with good reason, guys) and also Cinnamon Honey Butter (for the rolls!) Save these recipes for Christmas when we do it all again! Is Mac and Cheese a Thanksgiving menu item where you’re from? I had NO idea this was a thing until I started getting tons of traffic on on my Mac and Cheese every Thanksgiving. (Do you make it in place of mashed potatoes??) I asked my neighbor Tyrone what he was making for T-day and he said Mac and Cheese, HIS VERSION. Just remember, I won that contest, guys. Then on Thanksgiving day all the traffic in the second half of the day shifts to this Turkey Broth from the Bones recipe and Leftover Turkey Barley Soup. Which is exactly what I’ll be making with my turkey carcass tomorrow. Gosh, we’re all just so predictable :) Do you have a ton of turkey leftovers? You can use it for literally any recipe that calls for cooked chicken. 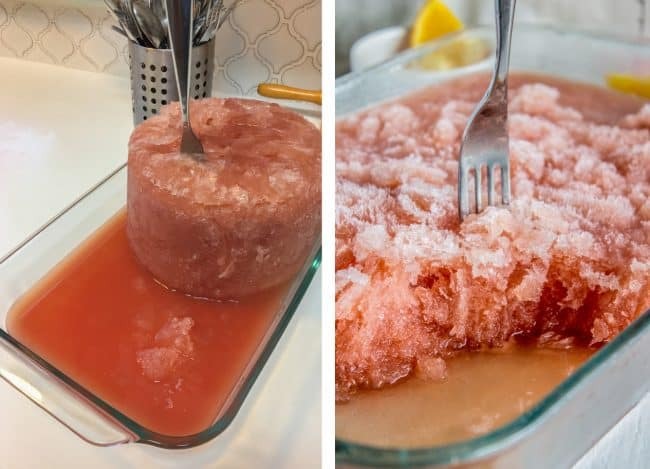 You freeze the slush in two 9×13 inch pans so that they are really easy to break up with a fork, pretty much right out of the freezer. DON’T do it in a 1 gallon ice cream bucket like I did at first (left.) It’s too hard to break up. Hopefully you can use this recipe for Christmas this year. It’s such a fun and easy way to make your holiday table look festive! Plus it’s DELICIOUS. It’s just so nice to have a special drink in a pretty glass with your dinner (I used stemless wine glasses), it makes everything feel more fancy. The sugared rims definitely ups the fancy-factor! It’s super easy, all you need is some lemon juice and colored sugar. But guys, now that Thanksgiving is over, I’m SO excited to start sharing more Christmas recipes with you! I have plans to share recipes for my Gingerbread Trifle (it’s so good and super easy! ), a quick tilapia dinner, Raspberry Thumbprint cookies, Classic Pot Roast, and so much more! I’m mostly sharing that last one to give you the base recipe you need for my Leftover Roast Beef and Potato Pie. I’m so excited about that one!! Have a great weekend everyone! 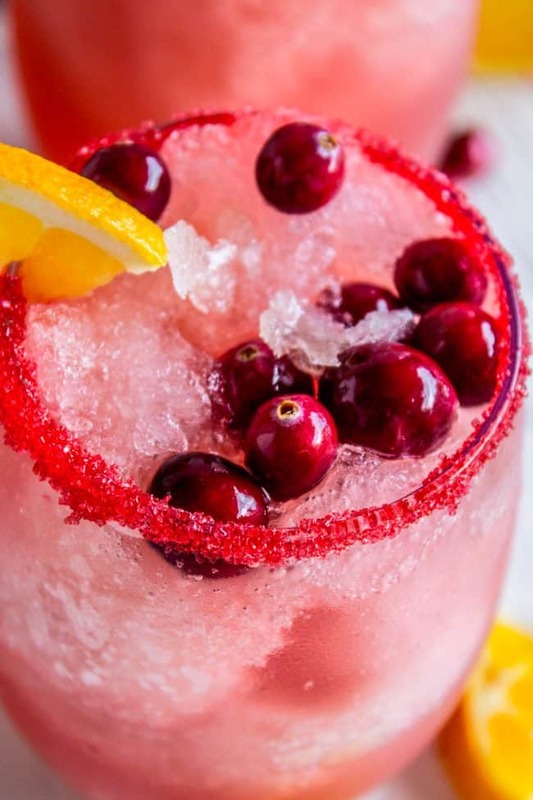 Nothing could be prettier or more festive than this delicious Sparkling Christmas Slush Drink! 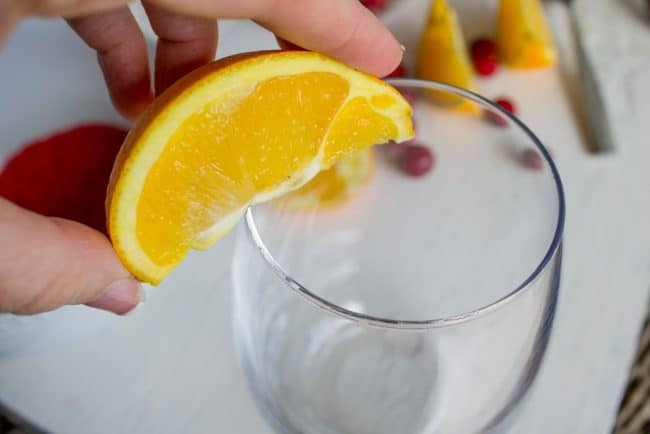 It is a super impressive drink to serve for dinner parties, holiday parties, bridal showers, or anything else you can dream up! In a large pot, combine 4 cups water with the sugar. Heat over high heat for 3-5 minutes, stirring until the sugar has dissolved completely. 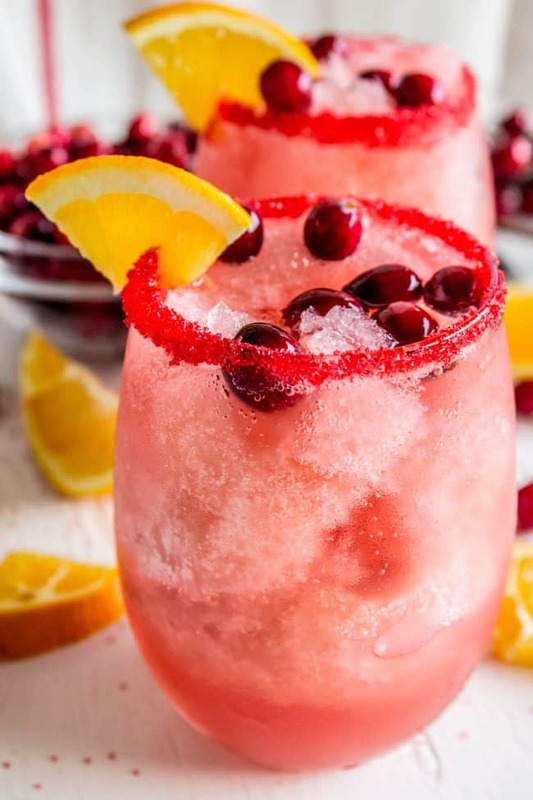 Remove from heat and add the cranberry juice, frozen lemonade (don't make it into juice, just add it frozen), and the orange juice. Stir until the lemonade is dissolved. Pour the juice into two 9x13 inch casserole dishes or cake pans. Or any wide shallow dish will do. Cover and freeze until solid, at least 3 hours or up to 1 week. Rub the rim of the glasses with the lemon slice. Dip the glass into the sugar, then set aside to let dry. It's great if you can do this an hour or so before serving, but it's not necessary. You can even do it the night before your party to save time. 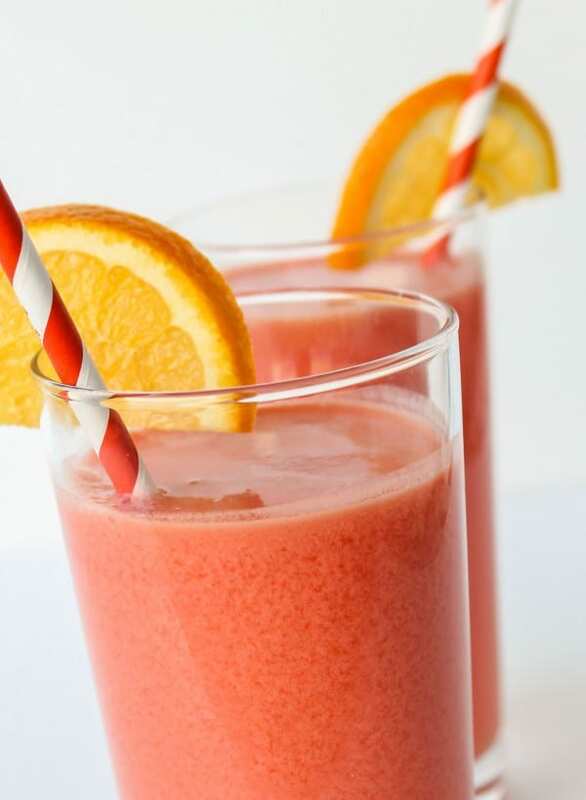 When ready to serve, use a fork to break up chunks of the slush and add to each glass. Pour Cherry 7Up in each glass. 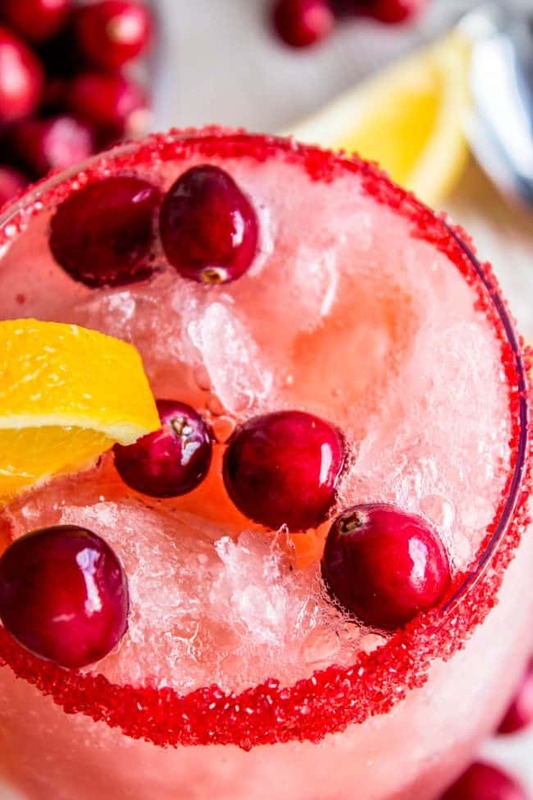 Garnish with fresh cranberries and an orange slice, if desired. 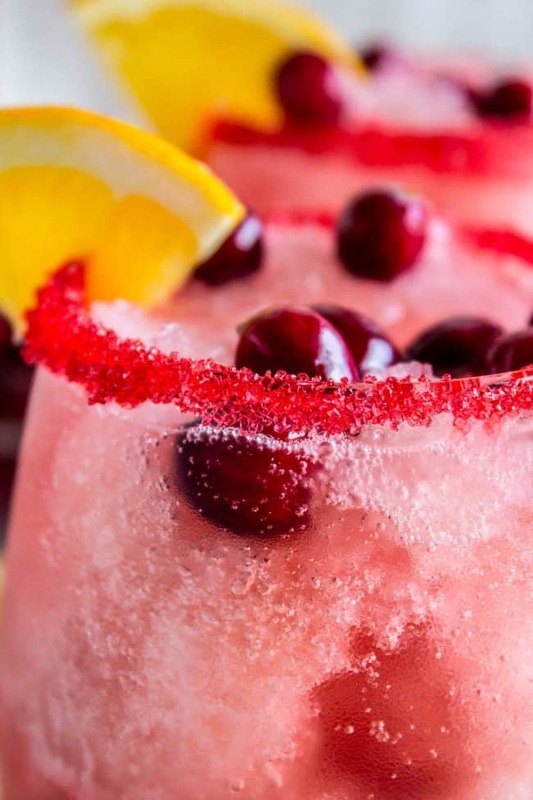 *If all you can find is a cranberry juice cocktail, that will work just fine. If you do 8-ounce cups, you will get about 24 servings. You could fill the glasses more and add more 7Up to each glass and get more like 16 servings. It's kind of a flexible recipe. Turns out that adding sugary soda to sugary slush in ANY ratio is delicious. The drinks have to be assembled last minute. If you want to, you can add the remaining slush and 7Up to a punch bowl set inside a large bowl of ice and let people serve themselves, but the slush melts faster this way. Other party drinks you will love! 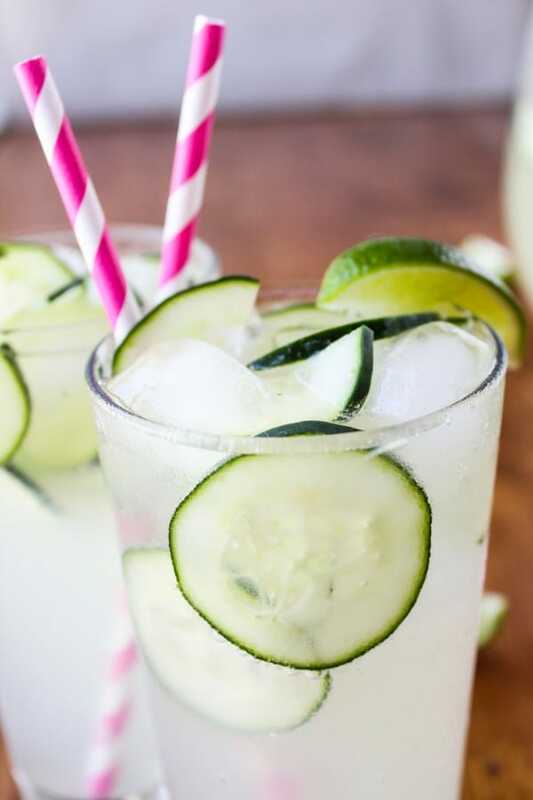 Easy Cucumber Lime Punch << this is a totally favorite of mine. It’s soooo easy, and very unique! June Bug: Orange Grenadine Ginger Ale << another super tasty party drink! 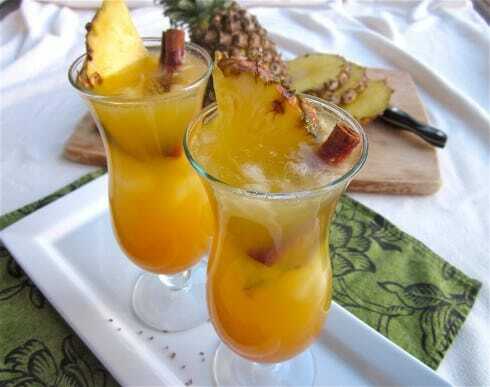 Chilled Pineapple Apple Cider << This is an old recipe (these photos! haa!) but it’s a great holiday drink! More tasty drinks from blog friends! My mom has been making basically this same drink for like 30 years! I have been making it for 15 years. It’s the best drink ever! Yay! Another believer! I wonder where the original recipe was published? It’s so good! Haha no big deal, live and learn right?? And I don’t have a copy of the book I just took a bunch of pictures of Jessica’s book with your mom’s permission. I’d love the PB Smores pie recipe!! Mac n cheese with turkey sounds like a dream. 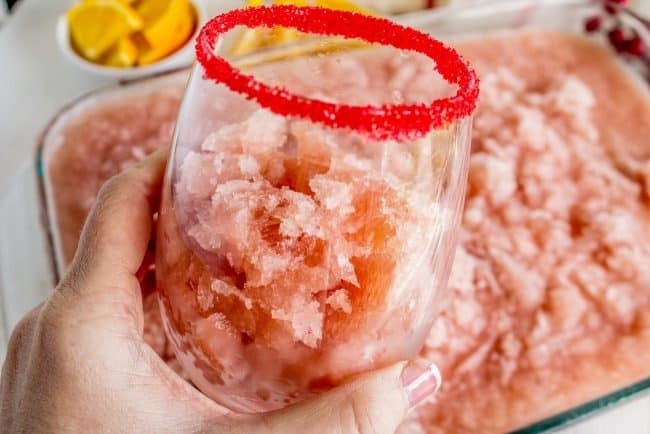 This slush looks super easy to make, I like the idea of freezing it in a big batch. Right?? Now I seriously need to try this combo! Mac and cheese AND mashed potatoes!! Thanks Mariana! Hey Karen, I made this slush drink as per your instruction. And it was delicious! I’m so glad you liked it Cristina! !